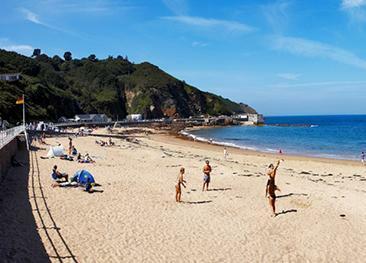 Plemont is one of Jersey's most popular and stunning beaches, a wide expanse of sand that disappears with every high tide. 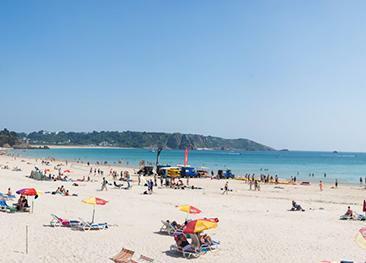 Plemont is one of Jersey's most popular and stunning beaches, a wide expanse of sand that disappears with every high tide. There are numerous rock pools and caves to explore. 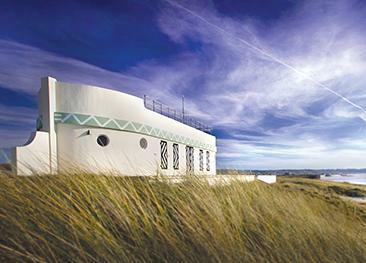 The beach is accessed by a wooden staircase that leads from the fantastic beach cafe overlooking the sea. The sea can be calm and ideal for swimming, but strong swells can also crash into this corner of the island - making local surfers very happy! There is a public car park at the beach. Visitors travelling by bus can reach Plemont via route number 8. The Greenhills Country House Hotel was a beautiful private house back in the 17th century and has retained all the charm of a traditional Jersey home. The Prince of Wales has the beach at its feet and caters for anyone wanting a relaxing and peaceful holiday. 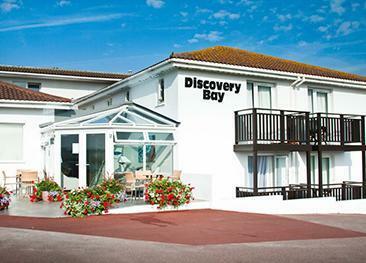 Situated in the heart of St. Ouen's Bay and on the doorstep of one of Europe's best surfing beaches, Discovery Bay Apartments are perfect for families and couples wishing to get away from the hustle and bustle of everyday life. 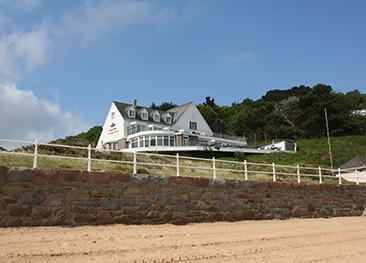 Greve de Lecq straddles the border between two of Jersey's parishes, St. Mary and St. Ouen. 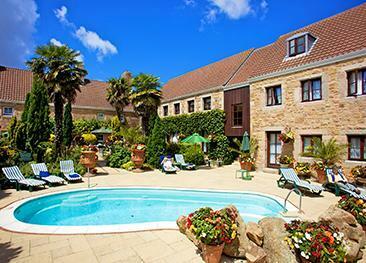 Located on Jersey's south-west coast and provides a natural amphitheatre for sun-bathing, swimming and water sports. 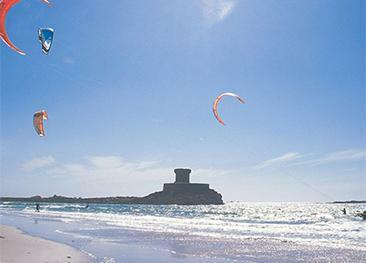 Jersey's west coast is five miles long, and at least three of those miles are covered in golden sand.